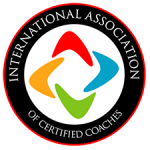 Are you a Self-Aware Coach? I’ve literally worked with 1000s of coaches over the years. As much I hear everyday coaches use the cliche line “I want to help you become your best you,” so many of them seem incapable of taking their own advice. Their struggles weren’t a matter of a lack of skill, training, or even business sense, it was all about hidden belief systems that would cause them to unconsciously self-sabotage. Self-awareness allows you to investigate yourself and find out what things are actually driving your behaviors. This week, I have the opportunity of sharing an interview I did with Self-Awareness Coach (and 2016 LCTI Grad) Sonya Gomez. Sonya is absolutely crushing it as a coach in the San Diego area, and now she’s helping new coaches grow in their own self-awareness while giving them practical business steps through her new book: THE LIFE COACH’S PLAYBOOK: The Secret to Creating a Winning Life for You and Your Clients. I hope you enjoy today’s interview where Sonya shares her background, experience with breaking into coaching, and, of course, what self-awareness is and how you can use it. (8.8.18) Wednesday Upgrade: BACK2SCHOOL = CLIENTS! 4 Ideas to help you take advantage!